$50 per person. *Ages 21 and Over Only. This event is for ages 21 and Over Only. 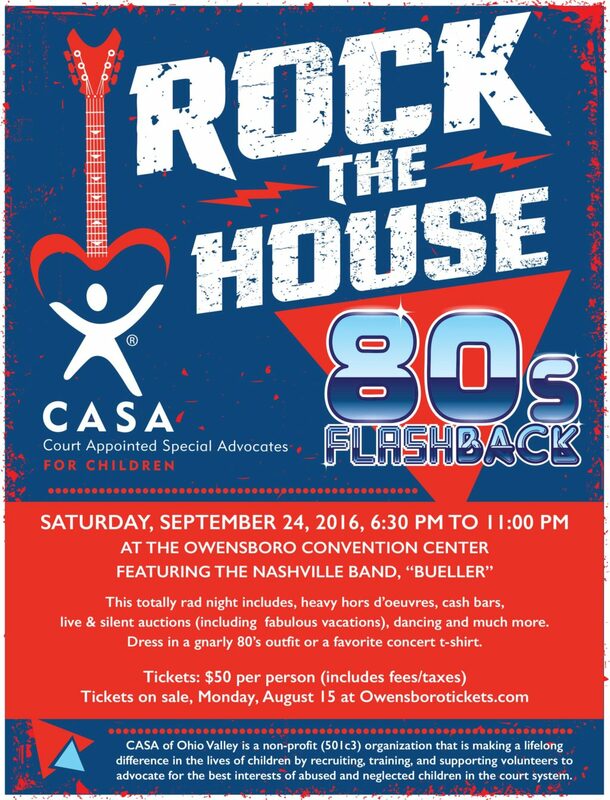 The event will raise operational funds for CASA of Ohio Valley. These funds help with continued training and supervising community volunteers to speak up for abused and neglected children and to help ensure they are placed in safe, appropriate homes.